Well, here I am writing my first blog - its so strange - I mostly feel like I am talking to myself! 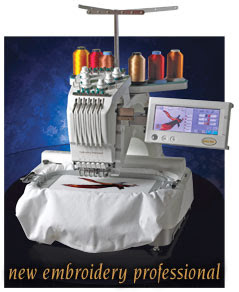 Anyway, I am very excited about the arrival of my new embroidery machine! It will be so much fun and yes, my husband is concerned that everything we own will be monogrammed - instead of just the linens and kids stuff! I told him I'd leave his boxers alone, but his scrubs are MINE!!!! I am looking forward to a short break from competitive tennis too! My wonderful friend Wendy and I just finished the USTA regional championships where I am sad to report we were not victorious! We lost both of our doubles matches in tie-breakers! However, I was able to pull off a win in my singles match yesterday - maybe it was because Glen and the kids were there cheering me on. We are also expecting our first shipment of Scout bags this week, in addition to some great stationary products that will be added to the preppyinparadise.com website. We are gearing up for Back To School and then before we know it the holidays will be upon us! Here in Southwest Florida the public schools to back in mid-August (yuck) but my little darlings will still be home until after Labor Day. Don't forget to get your kids school bags & lunch boxes monogrammed as well as their uniforms! We also have lots of cute hair bows, headbands and ribbon covered barrettes - all of which can be monogrammed with your child's school name! What about Mommie? Well, who wants to show up in car line without a monogram on the back of their car? Not me! Its cute, its affordable and it makes a great gift. Check it out!